Hold The Botox! Bring On The Snails? Boca Skin Blog > Blog > Hold The Botox! Bring On The Snails? If there is one thing that Japan has proven, it is their innovation and ability to put a spin on just about any global trend. 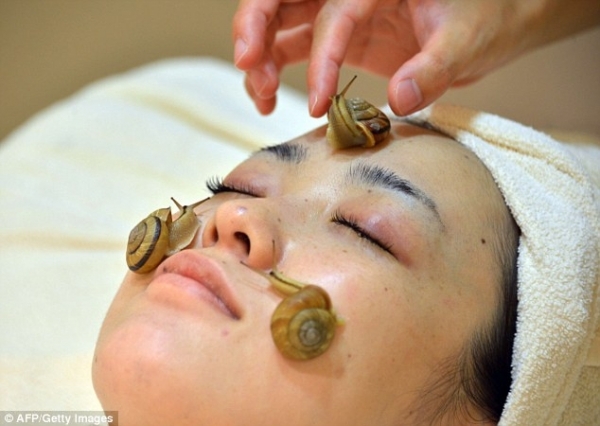 Rather than joining the Botox revolution, Clinical Salon in Tokyo has introduced a new anti-aging trend and get this, they use snails! Apparently, when these mollusks are placed on your face, their slime trails, which are full of proteins and anti-oxidants, absorb into your skin. According to the clinic, it also helps reduce inflammation, exfoliate dead skin cells, and retain moisture. While being new to a majority of the facial cleansers out there, this trend has been going on in Tokyo for the past few years. So, this trend might not be making its way into the US market anytime soon because a majority of doctors do not see any lasting benefits. Mandy also went on to explain the required molecule in Botox, hyaluronan, is not as prevalent with snail facials. Also, the chances of the slime being able to get through the ones outer layer of skin is very slim, hence the rejection of lasting effects. Looks like Botox will be the skin aging treatment of choice in the US while Japan will continue with their snail facials and fish pedicures.